Right along 3-km Doljo Beach, on Panglao island, minutes from mainland Bohol via 2 concrete bridges. From Doljo Beach, divesites are a few metres away. Clusters of entertainment, bars and restaurants on Alona Beach is a 10-minute drive. 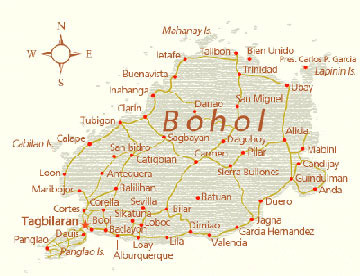 The provincial capital, Tagbilaran City, is a 20-minute drive over the causeway.